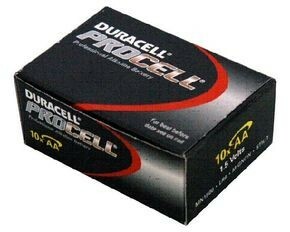 Procell AA batteries are dependable, long-lasting duracell batteries that are specifically labelled and packaged for the professional/industrial market place. Procell AA batteries are dependable, long-lasting duracell batteries that are specifically labelled and packaged for the professional/industrial market place. Packaged in boxes of 10.